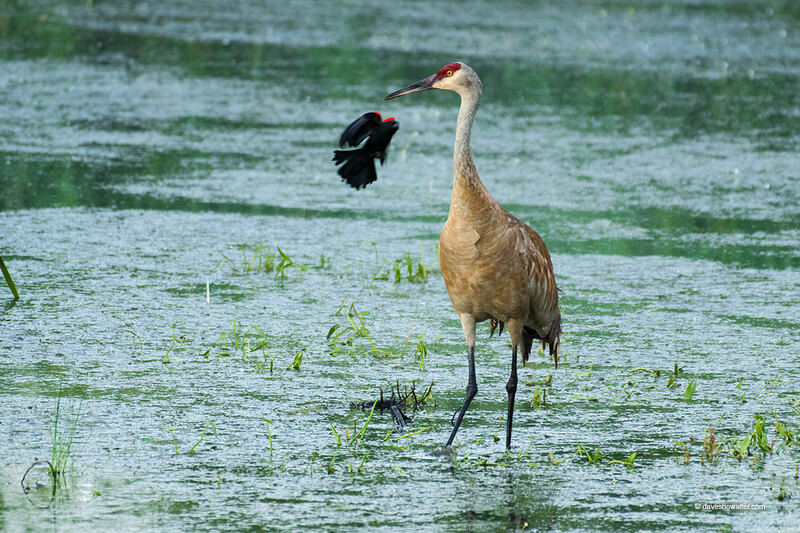 In a side channel of the Yampa River, a male red-winged blackbird relentlessly harasses a sandhill crane who's ventured too close to the blackbird's nest. Serendipity gave me this moment, and I'm grateful to crane, blackbird, and the last free-flowing river in the Colorado River watershed. Photo © copyright by Dave Showalter.